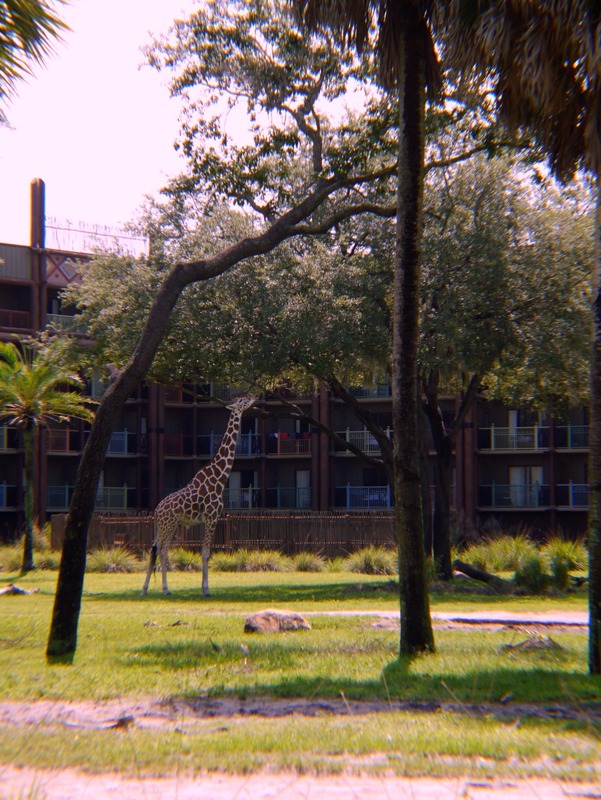 So I’ve edited a few more pictures from Animal Kingdom and Animal Kingdom Lodge and I decided that there are way too many for just my blog. So the rest (of the ones I like) will be up on my Flickr within the next few days. To be honest, I’m not fully sure how that website works, but here’s the link for it: My Flickr. Here are a few of my favorite pictures from the trip. 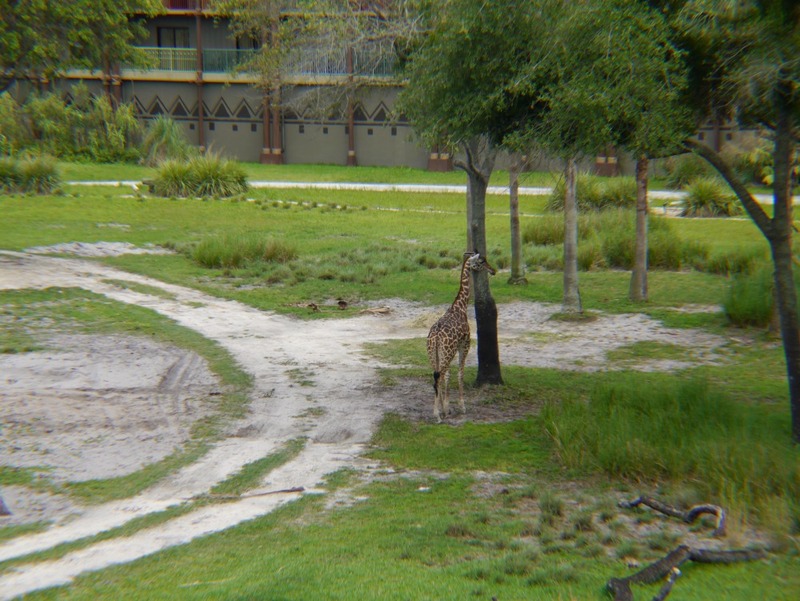 Honestly, most of them are giraffes (if not all). I’m literally obsessed with them. These are also just from the ones I have on my computer so far, there’s like another 500 on my camera from all of the places we went. This was from the balcony of the room we stayed in. When I say this was a dream come true for me, it really was. 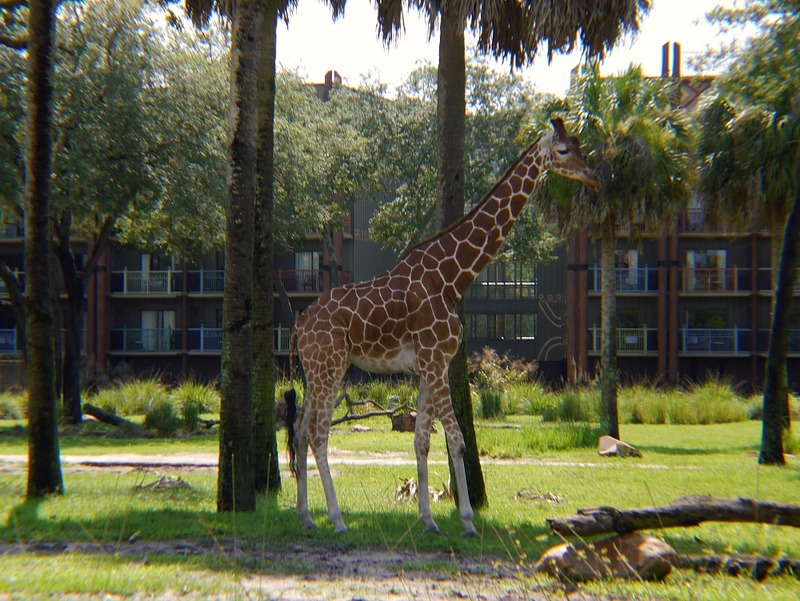 For as long as I can remember I have always loved giraffes, I remember being like three or four and my aunt trying to figure out what sound they made before we went to the zoo. I’m not sure if that was the moment that they became my favorite animal, but that’s the first time I remember loving them. Again this was taken from the balcony. I found it really cool how they fed the animals. 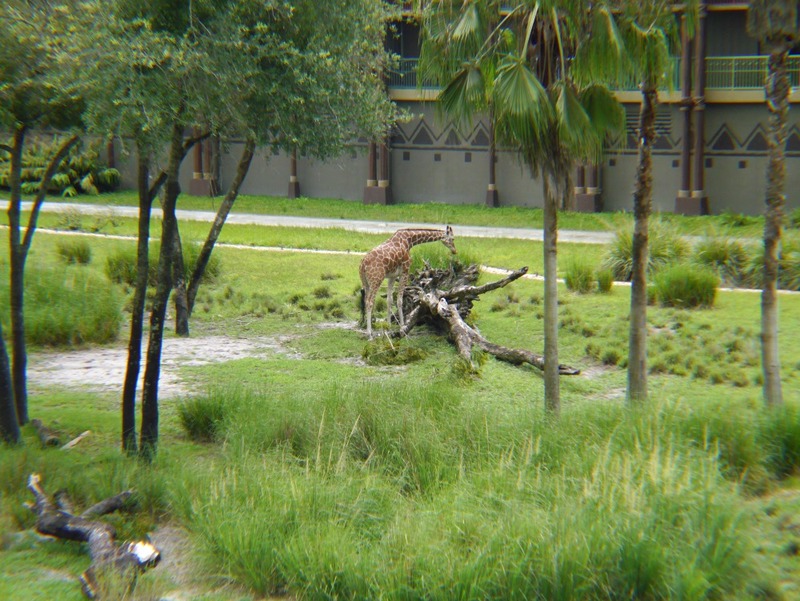 They put food in the most random spots for the animals to get, it was hilarious watching the giraffes trying to pick food up from the ground. Another one from the balcony. 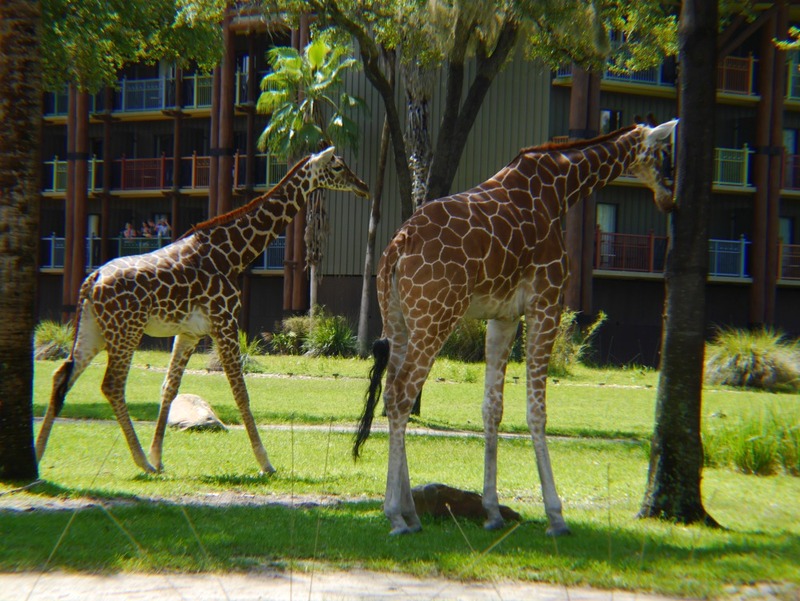 I cannot get over how majestic and beautiful they look just walking around. I would never get tired of looking at them, I could sit on that balcony for hours no matter how hot it was. It was incredible. It’s just amazing what they can do. 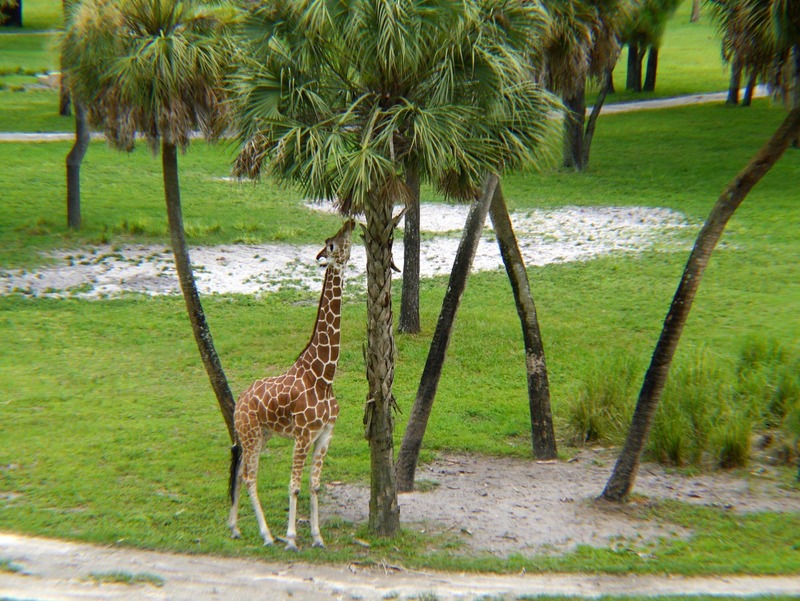 They just reach up to the trees and eat. It’s breathtaking. 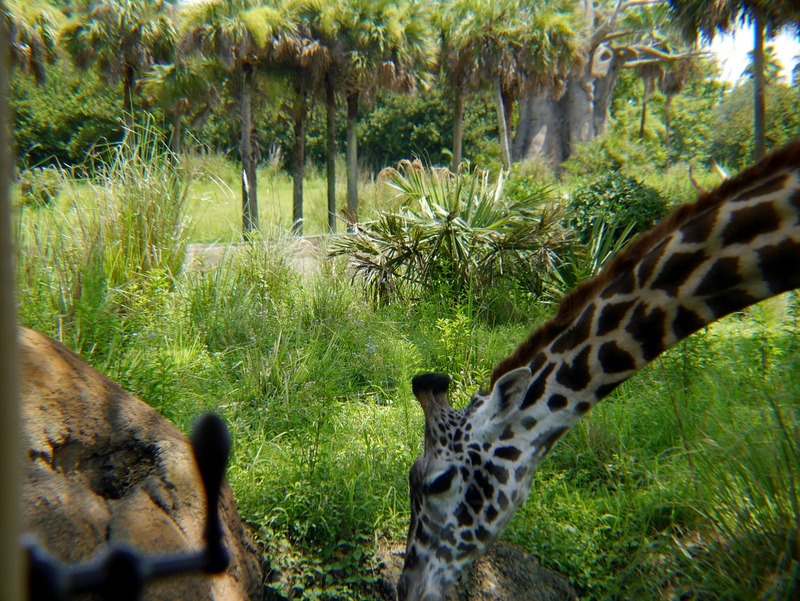 This was the window on the Safari tour in Animal Kingdom. I thought it looked cool and kinda old, and kind of also a little authentic. Here’s an elephant to break up all the giraffes. 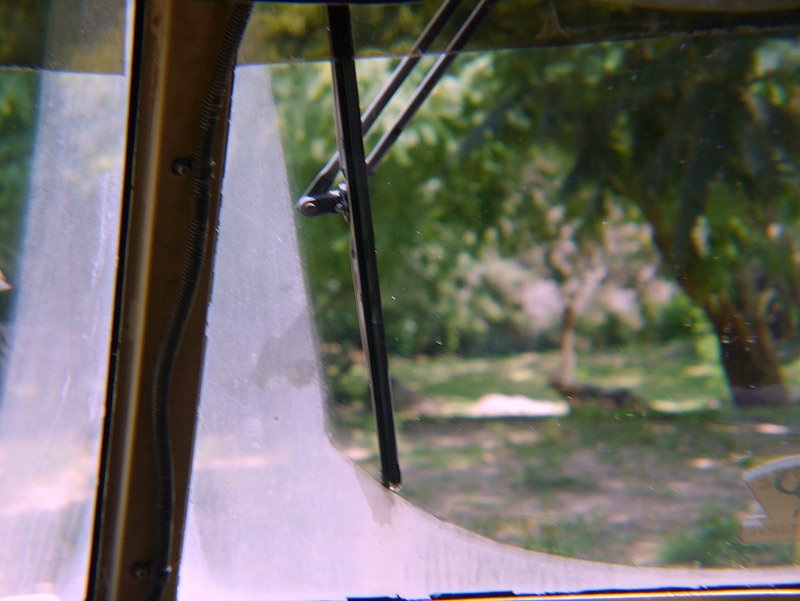 They were also pretty cool on the Safari, but not as exciting for me. 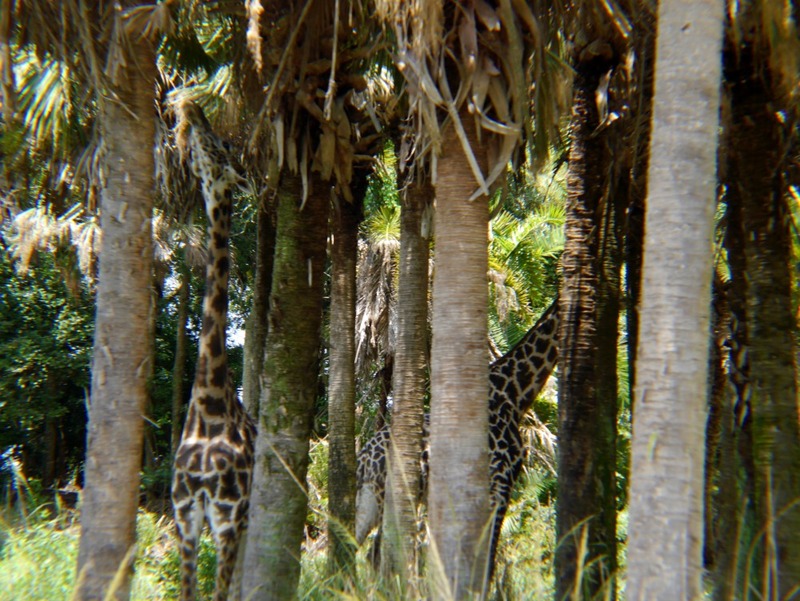 This was also on the Safari. It was a little harder to get pictures there because of the jerky movements. I was so happy in the moment, the one on the left is a baby. They might both be babies, but for sure the one on the left is. 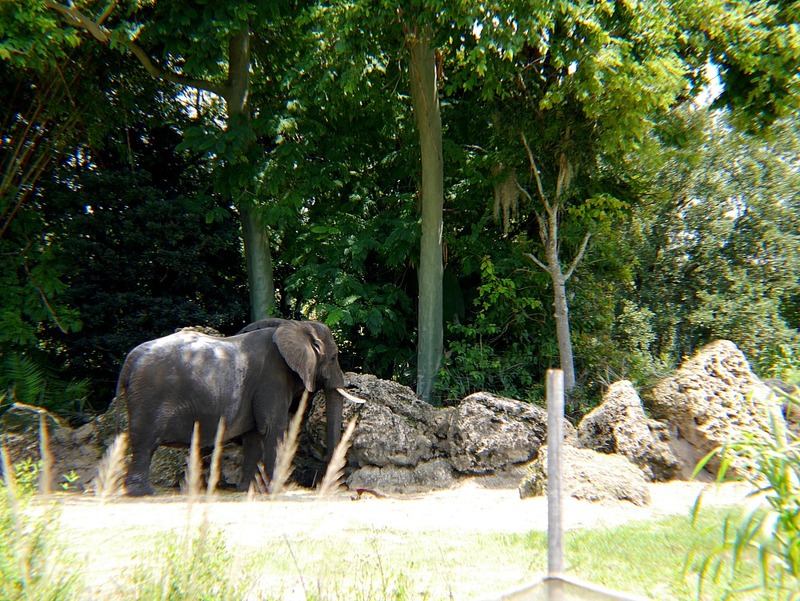 If I would’ve been sitting on the other side of the bench during the Safari I would have been able to touch this one. On my bucket list is feeding one, touch one would also be amazing. It was so close to the jeep/truck/tour vehicle. This is from the walkout section of the hotel. 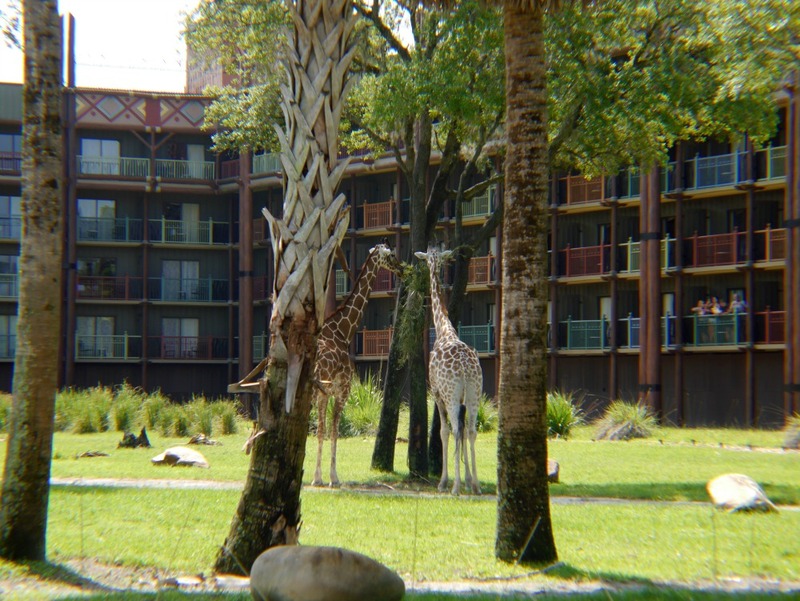 It’s like this area where you can get the closest to the animals at our section of the hotel (we stayed in the newer “Kidani Village” area). I got some really amazing shots there. 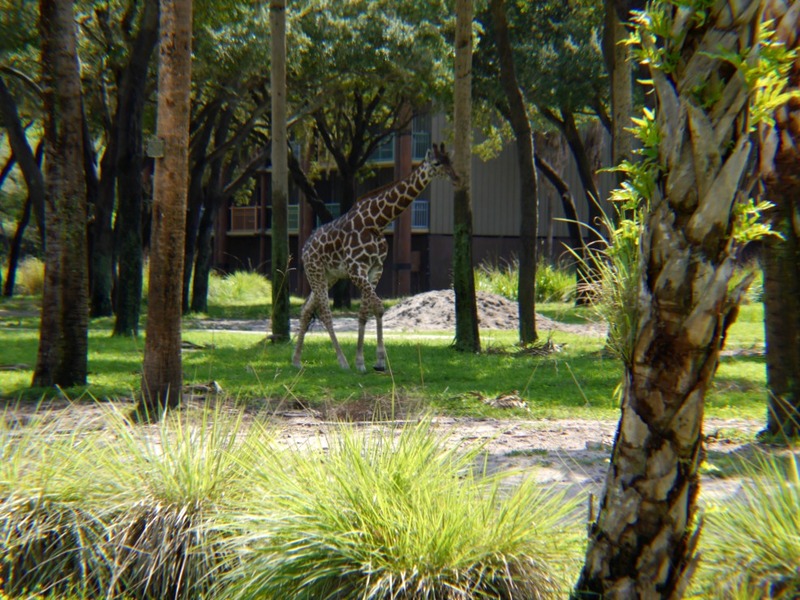 The interactions among the giraffes were so peaceful. 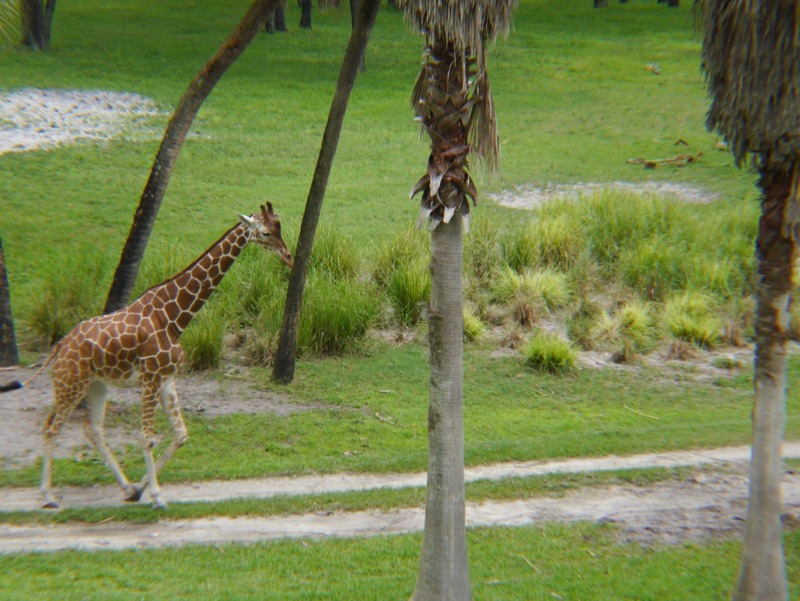 The zebras were ramming heads so were the other animals I didn’t care as much about, but the giraffes just grazed gracefully. Sometimes they would just walk places together or run around together. I thought it was really cute. I can’t get over how pretty they are. Okay so as not to overwhelm this is the last one I’ll post. I just love the patterns and the details that they possess. It’s just pure and complete beauty that they are completely unaware of, it’s just breathtaking. I will be uploading all of the pictures at once onto flickr so it probably won’t be for a few days, but keep a look out for those!